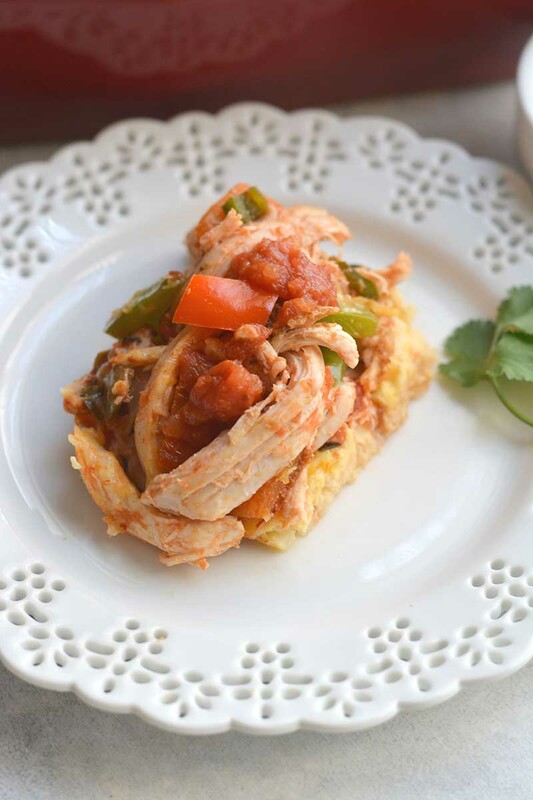 Chicken Cauliflower Casserole is an easy-to-make dish that is full of cheesy goodness while still being high in protein and low in carbs, calories, and fat. 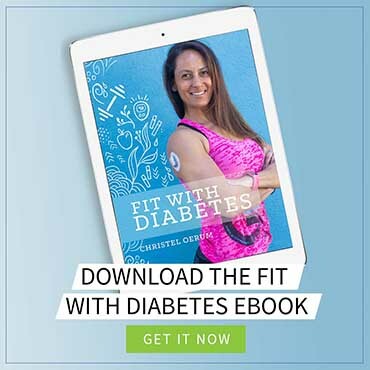 It makes for the perfect healthy dinner choice! When stated like that, cauliflower pretty much sounds like the perfect vegetable! Unfortunately, I feel like cauliflower tends to be a little ignored in the vegetable world. People like to focus on green veggies like kale, spinach, and asparagus, or other colorful veggies like carrots, peppers, and squash. Cauliflower comes across as a little bland or even less nutritious because of its pale white color. That couldn’t be further from the truth! Cauliflower is an excellent and vitamin-rich vegetable choice, and it plays a big role in this delicious cauliflower casserole recipe. What’s really interesting about Chicken Cauliflower Casserole is how the cauliflower is used to create the base of the dish. Step 2 – Mix the drained cauliflower rice with most of the cheddar cheese (leave a little cheese for topping the casserole) and the egg. Step 3 – Take this mixture and spread it evenly in a baking dish that has been lightly greased with extra virgin olive oil. Then bake it for 20-25 minutes at 375F (190C). Yep, you create the bottom of your cauliflower casserole out of baked cauliflower, cheese, and egg. The mixture bakes up nicely and becomes firm and cheesy! Step 4 – While the cauliflower crust bakes, sauté the bell peppers for 4-5 minutes and combine them with shredded chicken, salsa, and the spices. This mixture goes on top of the baked cauliflower, and it’s again baked (with the remaining cheese on top) for about 7 minutes to create the final dish. I typically use a medium-spicy red salsa but you can use whatever you have available. The recipe is also great with a green salsa (salsa verde). Once you add your toppings (lime and cilantro are suggested), it’s ready to eat! It’s such an easy and healthy dinner choice that you may find it quickly becomes a favorite! Q: Can you make cauliflower casserole ahead of time? A: You certainly can, but be aware that it will get a little soggier as it sits because the salsa will begin to work its way into the cauliflower base. But it will still taste amazing! Q: Where can I buy cauliflower rice? A: It’s available either fresh and frozen in most major grocery stores. 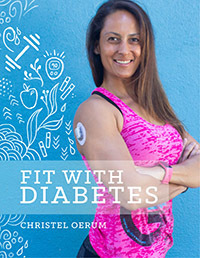 You can also get it in many online stores (Target, Vitacost, etc.). Q: Can I make cauliflower rice myself? They are both delicious and use cauliflower rice as a substitute for other ingredients that are higher in carbs and calories. I have also made a roundup of my favorite low-carb cauliflower recipes that I always keep updated when I try new recipes. 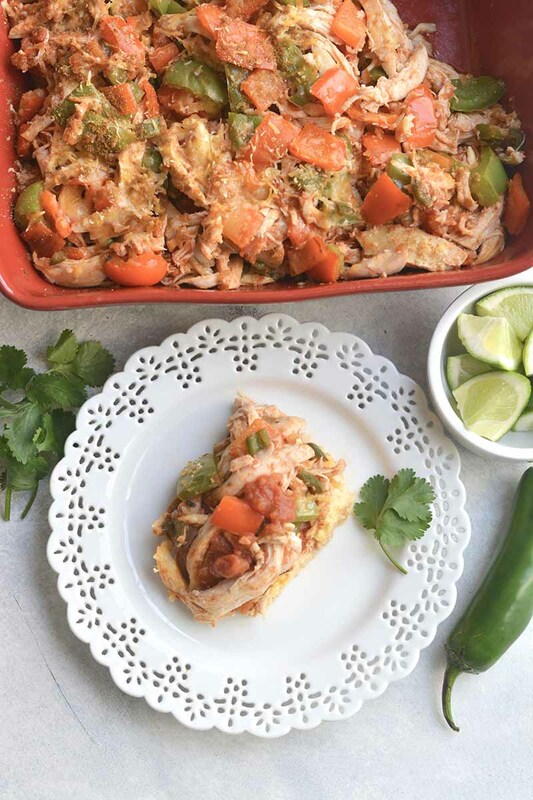 When you’ve tried this healthy low-carb chicken cauliflower casserole, please don’t forget to let me know how you liked it and rate the recipe in the comments below! 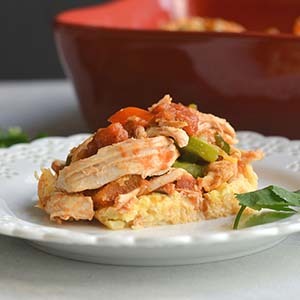 Chicken Cauliflower Casserole is an easy-to-make dish that is high in protein while being low in carbs, calories, and fat. It makes for the perfect healthy dinner choice! Place cauliflower rice in a skillet with ¼ cup water. Bring to a medium heat and heat until softened (about 5 minutes). Preheat oven to 375F (190C) and grease a 7.5x11” baking dish lightly with extra virgin olive oil. Remove the cauliflower rice from the heat and drain any excess liquid. Place the cauliflower in a mixing bowl with the egg and 1/3 cup shredded cheddar. Mix until the egg and cheese are blended well together. 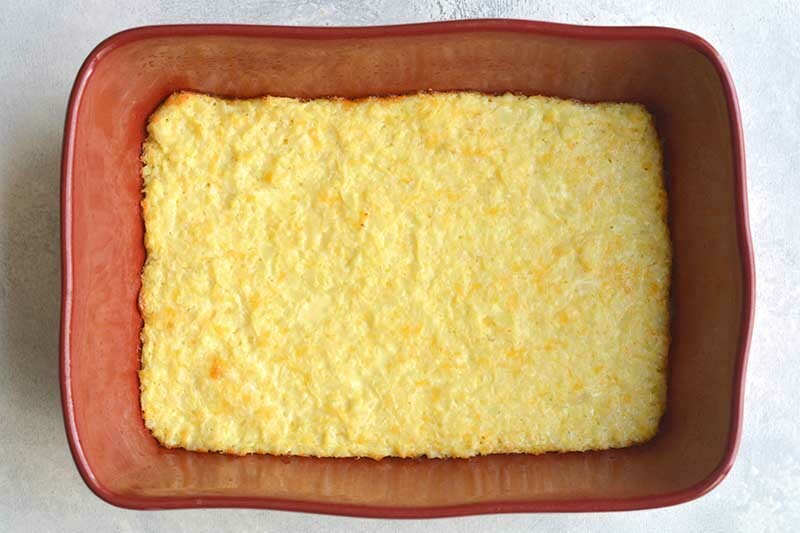 Transfer the cauliflower mixture to the prepared baking dish and smooth into an even layer. Bake 20-25 minutes at until set (test the crust with a form to test consistency). While the cauliflower bakes, add the bell peppers to a skillet and sauté for 4-5 minutes until soft. 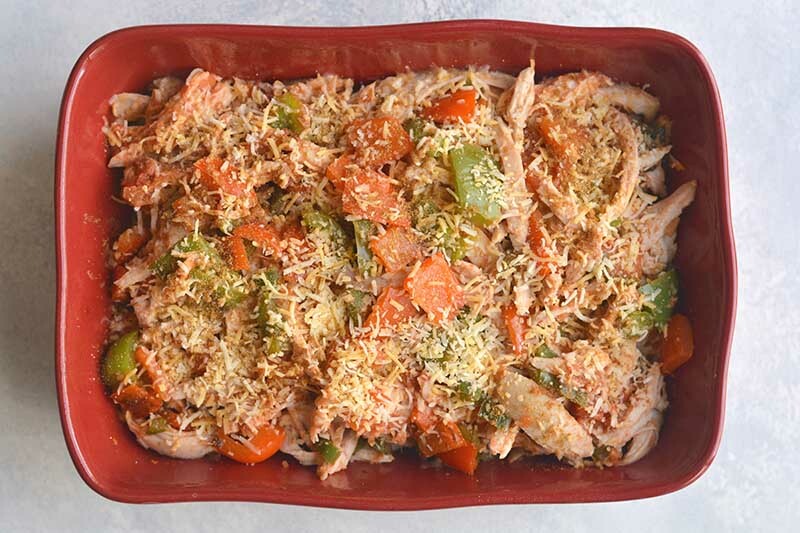 Add the shredded chicken, paprika, cumin, sautéed bell peppers, and salsa to a mixing bowl and gently mix it all together. Once the cauliflower is done baking, spread the chicken mixture over the crust and sprinkle the remaining 2 tablespoons of cheese over the top. Bake at 375F for 7 minutes to warm the chicken mixture and melt the cheese. Serve immediately with limes and cilantro.